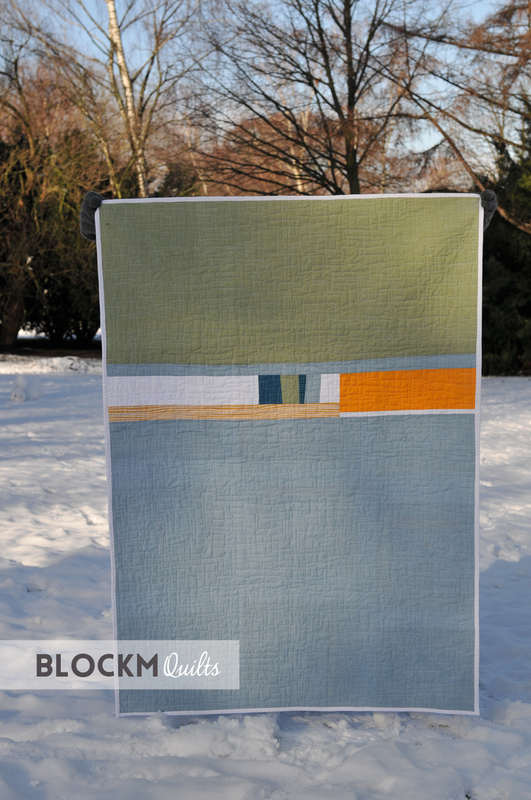 What a little snow can do to motivate you to get a quilt finished. 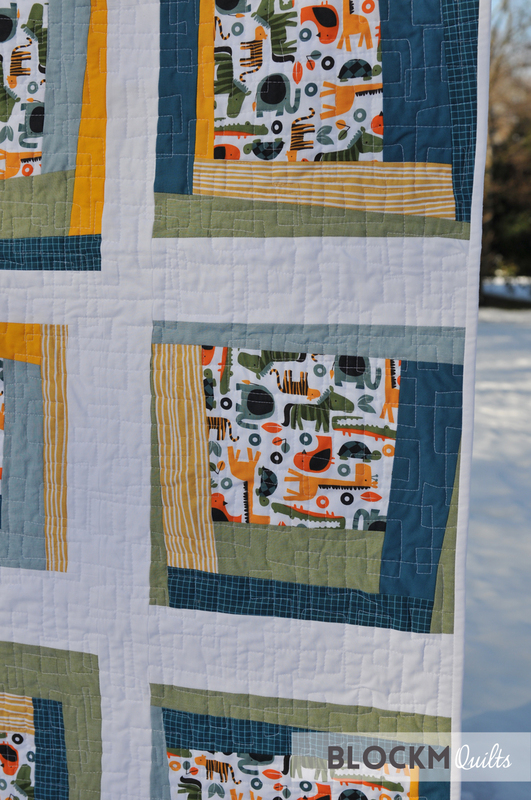 And I only consider a quilt to be finished if I took proper photos and wrote a blog post about it. This baby quilt for a friend's son is long overdue. Baby boy was born October 2017, yes 2017, he's already over a year old! That's how long it took me to finish it. And I also know why it took me so long. 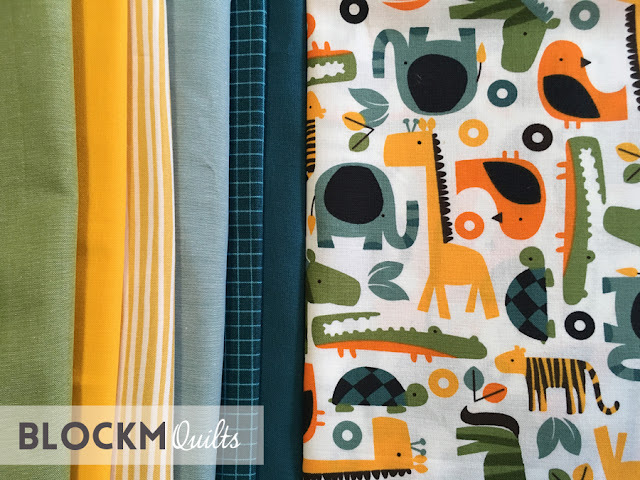 I wanted this cute animal print fabric as a center of an improv log cabin block. I cut this fabric into wonky squares and added the mostly solid strips around to create the log cabin blocks. But I wasn't really choosing, I added them randomly. And random is not improv. I don't even think I put the blocks on my design wall. I was so sure of myself that this will work - somehow... Arrogance that is! Half way through piecing the blocks I was aware of what I'm actually doing and was more intentional. 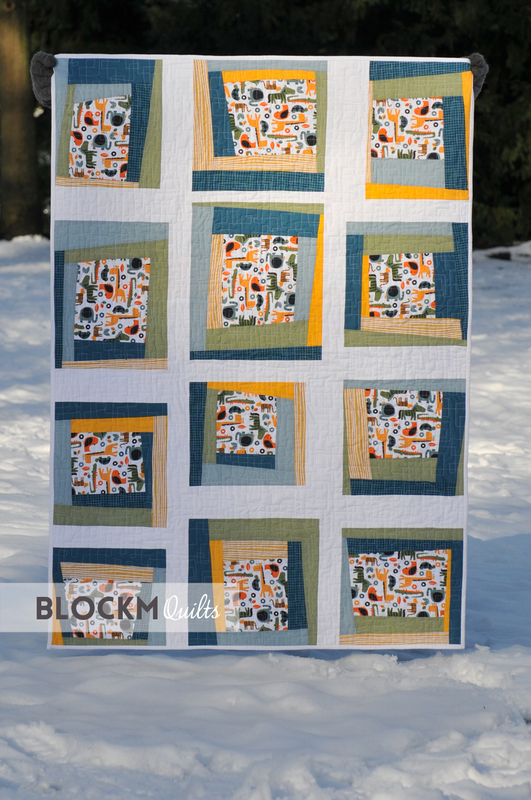 I also only like the blocks because I squared them up, my initial goal was to leave them wonky. I added white sashing and that really worked well. I was very careful with the design of the back then. I used left overs from the front, divided the quilt roughly into thirds and added this horizontal off centre line. I almost like the back better than the front. 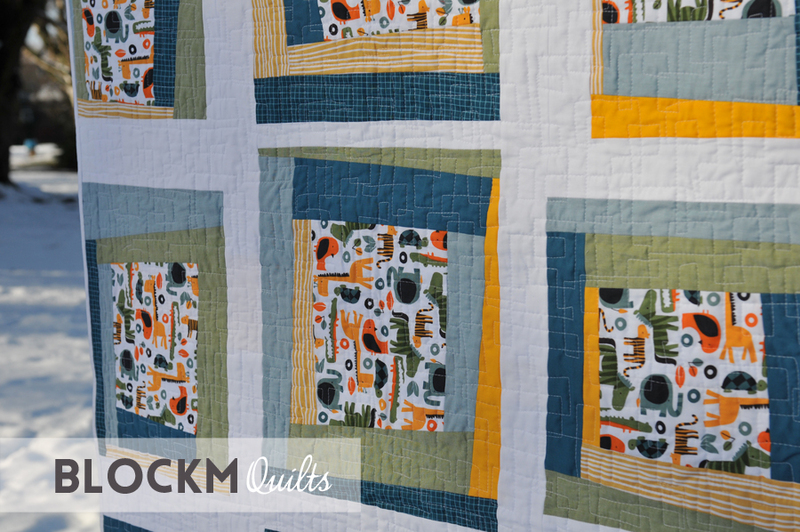 I quilted free motion interlocking rectangles which work really well with the different sized blocks and used white thread. I also added white binding, which gives the quilt a nice frame. This little quilt is 38 x 53" (96 x 135 cm) big but was a huge learning curve for me. It reminded me of my high performance rowing days where just once I was so sure of myself and so self-confident that I underestimated an opponent in a race. I still won though, but it took a lot of effort and it was a very tight race that could have gone seriously wrong. I was reminded of Sheri Lynn Wood once again, telling us in a QuiltCon lecture that 'Improv is not random, improv is all about choice'. And there is a huge difference. It's almost a pity that I have to gift this quilt, because I'd like to hang it in my sewing studio to remind myself of exactly that. In rowing that underestimating part never happened to me again and I hope the same for my quilting journey. I took the quilt out in this beautiful snow we suddenly have here. I've always wanted to take photos of a quilt in the snow, so I take that as a good omen. I love the blocks and design. 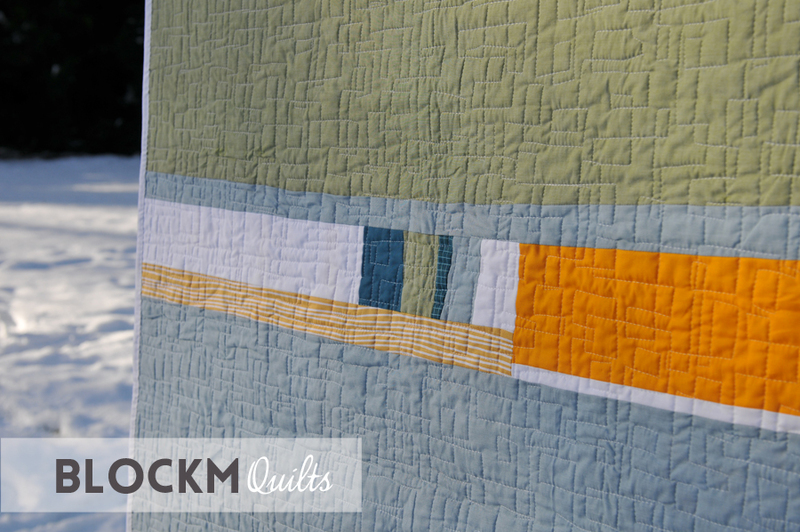 Though you have felt the struggle while creating, it does not show at all in the quilt itself. So congrats on another beautiful finish! And if you want a reminder in your sewing room, why not frame one of the nice pictures?! Purpel Haze is at QuiltCon!